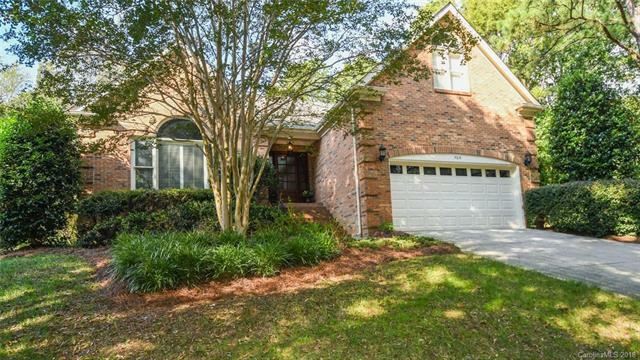 Full brick 1.5 story home on quiet cul de sac! BRAND NEW Gas furnace and AC (NOV 2018!)! From the mahogany front door, hardwood flooring, 9' ceilings on main level to the private deck w/ retractable awning, paver patio with professional landscaping- this home is a beauty meticulously maintained by one owner. Master suite on main floor, updated master bath with travertine, custom shower, whirlpool tub. Updated kitchen w/ soft close drawers, pull-outs, KitchenAid appliances, great storage in the island plus wine cooler and breakfast area open to family room featuring built-ins and gas fireplace. 3 spacious upstairs bedrooms along with loft area/sitting room and updated full bath 2. Don't miss the abundant storage in walk in attic. 50 gallon water heater 2016. Roof 2008. New exterior trim paint. Over .4 acre and very private. Refrigerator, washer and dryer to remain.